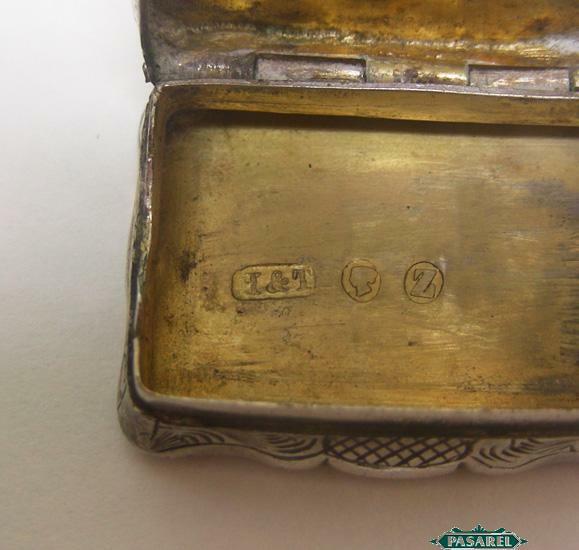 Of rectangular form, with engraved scroll foliate ornaments, monogrammed cartouche – “M.M”. 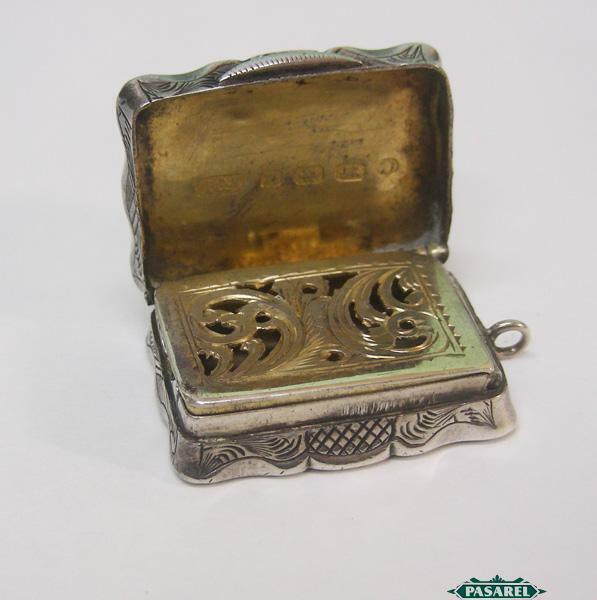 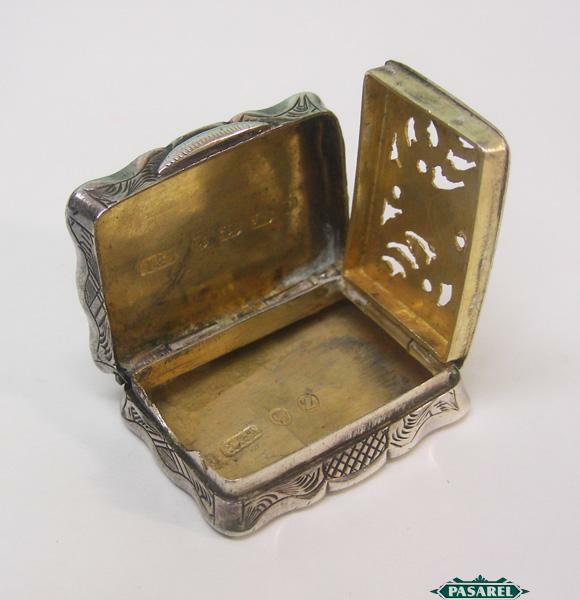 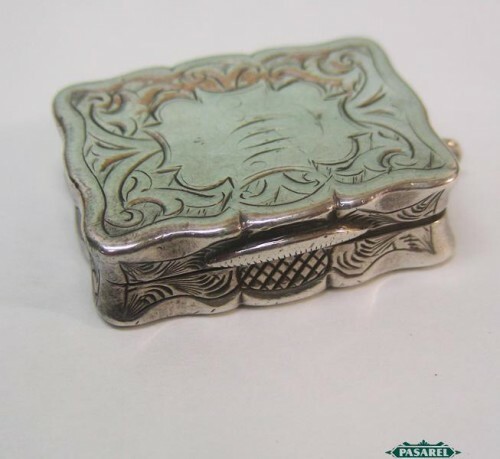 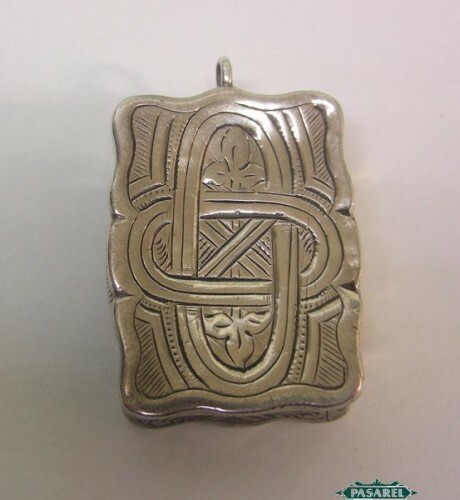 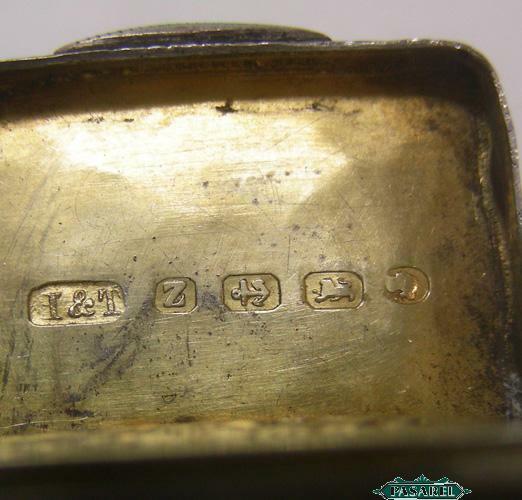 Fully hallmarked for Birmingham, England, dated 1874, maker’s mark for Hilliard & Thomason. 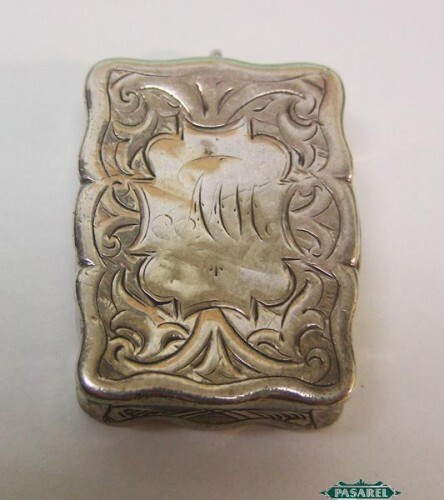 3cm X 2.2cm / 1.18in X 0.86in.